Admittedly, I am an “introvert” in the blogosphere in the sense that I just blog because it is a mere outlet of whatever I feel. Sure, I like browsing other blogs and enjoy reading them but I don’t like to leave comments, or don’t interact that much with other bloggers as much as I want to, because I am shy. Even though, I really want to make friends online but sometimes, my timidness gets in the way. I'm kind of comfortable in my own little bubble where I write how or what I feel about a certain situation or person, and how I am fully in control of my emotions, not even caring if anyone will read it or not. In other words, I just mind my own business. I missed it a lot. 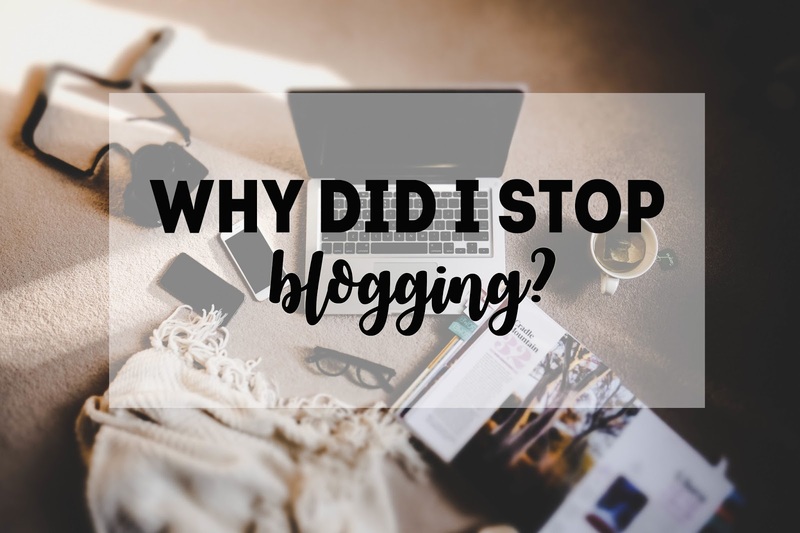 Looking back, I tried to find reasons on why I stopped blogging. What made me go from being constantly eager to share things on the internet turn to a lazy arse who can’t be bothered. Well, maybe because at some point, I felt like there is nothing much to tell about my life in particular. I have been swamped with school work that I thought I can’t just bore anyone who reads my blog about repetitive rants about school. It was tiring, really. I mean, who would want to hear or read about that? Besides, it’s not interesting. Lol. Another thing is that I lost my drive to keep on doing it. I had been with someone before who likes to take pictures and at first, I really thought we’d make a good combination because I imagined us doing a lot of things together, and document it. He’ll take photos, and then I’ll tell the stories. But I was wrong. It made me lose motive because whenever we’re together, we’ll just get so busy with each others’ company that I can’t be bothered to document it. Which I also find really sweet because it’s always nice to relish in the moment. Another petty basis is that I get shy whenever he tries to take my photos, because I was always made to feel insecure. LOL. And one last reason is my lack of resources. My laptop got broken, and I got bored using my camera a.k.a. I really just needed a new one. I got busy watching a ton of series to help me take my mind off being frustrated about it that I forgot how much I love to blog. This time, I want it to be different. I want to push myself to make new friends online through this blog. I also don’t have to contend to anyone who calls me fat (lol), and I’m getting new stuff soon. I’m also planning to get a domain so hopefully, I can make it happen this 2017.